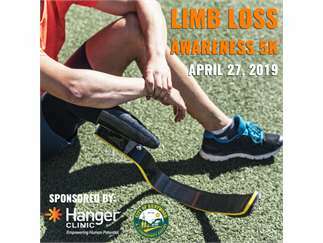 Kentwood Parks and Recreation is teaming up with Hanger Clinic to offer our second annual Limb Loss Awareness 5k on Saturday, April 27! This family friendly event is designed to be a fundraiser for Kentwood Parks and Recreation’s Adaptive Recreation Programs. All profits will be channeled towards improving and offering more programs for people with physical disabilities. The race will take place on the beautiful East West and Paul Henry Trails. All abilities are welcome to participate! Race will start and end at Bowen Station Park. New this year we will be having a kid’s 1 miles fun run! Kids will receive a t-shirt and ribbon.